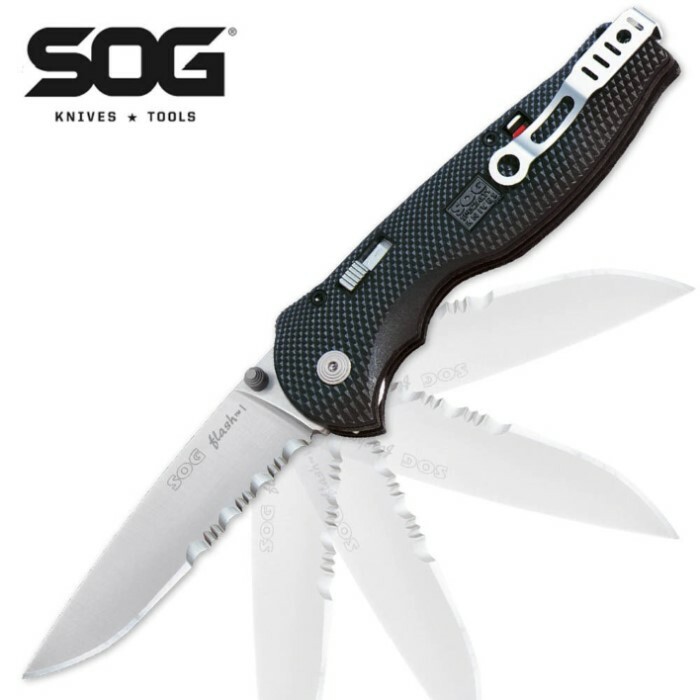 Featuring the SOG Assisted Technology (S.A.T), which employs a powerful piston lock that is easily released with a sliding button. We also had the foresight to incorporate an additional safety lock that gives added security when the blade is closed. When the safety shows RED you are ready to go! Each offers an AUS-8 stainless steel blade and glass reinforced Zytel handle. Each includes reversible bayonet mounted clip for discreet transport. Choose the blade style/size best for your needs. 5 3/4" overall, 2 1/2" blade. For $45 you would expect to get a decent sized knife, instead it's more like something you would find in a $5 bargain bin. You should buy a real knife, don't make my mistake and overpay for a toothpick.